My first official 5k and damn cold! I tried running for the first time (since I was 16 years old) on May 13, 2010. That was about 8 months after I started loosing weight. I ran (if you call it that) 2.42 miles. I did run/walk run/walk like Couch to 5K explains. I was so sore that I could hardly walk for the next few days. But I felt accomplished! I really do love running in the rain. 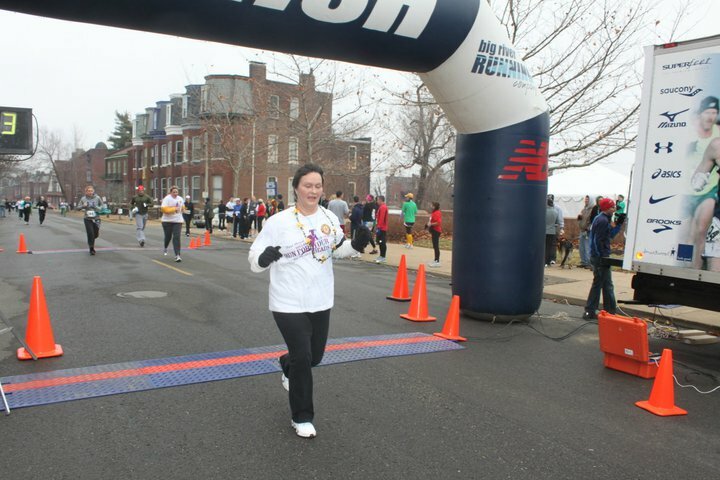 My first official 5k was on Feb 26, 2011 “Run for Your Beads” in Soulard St. Louis. I fell in love and knew that I would never stop. I finished in 35.37. I was still several pounds overweight but I ran the entire race. I was about to pass out…but I felt alive. I cried. 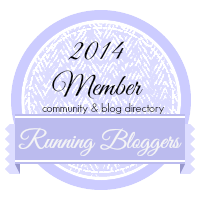 I have run in 28 official races since including 3 half marathons. I am now in training for my first full marathon “Rock ‘n Roll” – St. Louis in Oct 2014. It took me years of running but after my last half marathon in April 2014, I knew for sure that I was a runner. I was in pain, I couldn’t walk down steps, I could barely walk and the next day, I felt like I was 25! I knew at that point, I’d register for a marathon and I did a few weeks later. I can’t explain how running changed my life. There are not enough words….but it did. When the day comes that I can no longer run…that will be traumatic for me. I know the day is coming….but not today.